There’s a lot to look forward to if you live in the GTA, the economy is solid, with the employment growth rate projected to be 1.8% in 2019 with the economy growing at around 2.4%. Despite these positive economic trends, home ownership is still out of reach for many. Because of shrinking single-family home construction and weaker sales, there’s a good chance that there will not be a lot of new construction for single, family homes coming in the foreseeable future. Unfortunately, the housing construction trend is localized to major centres like the GTA and the Golden Horseshoe, and, to some extent, areas like Ottawa. It used to be that the toughest part of buying a house was saving for the down payment. Not anymore. Much of the challenges in the housing industry can be blamed on tougher lending rules. The federal government implemented a large number of strict lending rules which has inhibited many people, even high-quality borrowers with good credit scores, from qualifying for a mortgage. 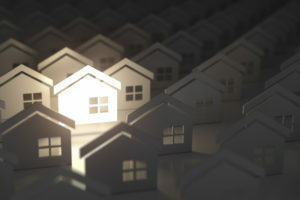 In early 2018, all federally regulated financial institutions, began testing borrowers’ application to see if they could pass a stress test, making sure they could make their mortgage payments should interest rates rise. Even if interest rates never hit the levels the banks set for the test, they still had to pass it. Those who fail the test have to rethink their housing strategy, which includes qualifying for a smaller mortgage or buying a less-expensive house. In the GTA, settling on a smaller budget means being shut out of the housing market. There is a silver lining for those who have been shut out of the housing market. The strict lending rules only apply to federally regulated institutions, which includes Canada’s big banks. Mortgage Investment Corporations (MICs) like Mortgage Company of Canada do not have to comply with these federal rules. As a result, more and more potential homebuyers in areas like the GTA, Golden Horseshoe, and Ottawa, where housing prices are high and supply is low, are turning to the Mortgage Company of Canada to make their dream of home ownership a reality. Low inventory of single-family homes in the GTA, tougher lending rules, and rising interest rates means many have put the idea of home ownership on the back burner. Those who have good jobs and strong credit scores, and who would have once had no trouble securing a mortgage are being rejected at unheard of rates. At the same time, this trend is responsible for showing high-quality borrowers how convenient and flexible it is to work the Mortgage Company of Canada. The housing and mortgage freeze have also shown income starved investors the benefits of investing in Mortgage Company of Canada. Our industry leading due diligence process and diversified pool of mortgages secured by residential real estate in the GTA and Golden Horseshoe has allowed Mortgage Company of Canada to provide qualified investors with above-average yields. Had you invested $100,000 with Mortgage Company of Canada in 2009, by January 2019, that investment would be worth $262,994. How does Mortgage Company of Canada consistently generate such high returns? Our goal is to provide investors with an attractive risk-adjusted return by investing in mortgages secured by single family homes in the GTA. Of that total, 81% of these residential mortgages are located in the GTA; 9% are in the Golden Horseshoe, and 4% are in Ottawa. The remaining 6% of our residential mortgages are located in major urban city centres. The majority, 77% of our portfolio, is made up of first mortgages. Overall, 60% of our mortgages secured by residential real estate matures in six months; 100% matures in less than one year. Mortgage Company of Canada is helmed by one of the most experienced management teams in the MIC industry. In addition to having a leading management team with 45+ years experience in real estate, the risk market, and the public market, Mortgage Company of Canada is overseen by an independent board, something unique to the entire MIC industry. Moreover, management and the Board of Directors have invested approximately $10.4 million in Mortgage Company of Canada, on the same terms as our investors, ensuring our investments are aligned. To find out how you can become an accredited investor with Mortgage Company of Canada, visit our web site or contact Mortgage Company of Canada at 1- 866-318-7222. 1. “’No More Detached Homes For You’, BMO Declares,” Huffington Post, January 11, 2019; https://www.huffingtonpost.ca/2019/01/11/detached-home-construction-canada_a_23640474/. 2. “2018 GTA new home sales drop to lowest mark in nearly 20 years,” Altus Group, February 1, 2019; https://globenewswire.com/news-release/2019/02/01/1709128/0/en/2018-GTA-new-home-sales-drop-to-lowest-mark-in-nearly-20-years.html. 3. “January Newsletter,” Mortgage Company of Canada web site, last accessed February 27, 2019; https://www.mcoci.com/wp-content/uploads/2019/03/Mortgage-Company-of-Canada-January-2019-Newsletter.pdf.